ARTBEAT 2019 IS UP AND RUNNING!! ALSO WATCH OUT FOR THE ARTBEAT STAGE THROUGHOUT THE DAY SUNDAY 16TH JUNE AT THE CLARENDON PARK SUMMER FAYRE!! We are looking for ‘festive’ performers for the Queens road Christmas Fair. It is being held on Sunday 2nd December between 11am and 5pm. We have a few spaces left for bands, singers, choirs, dance troopers or street performers so why not apply to perform. 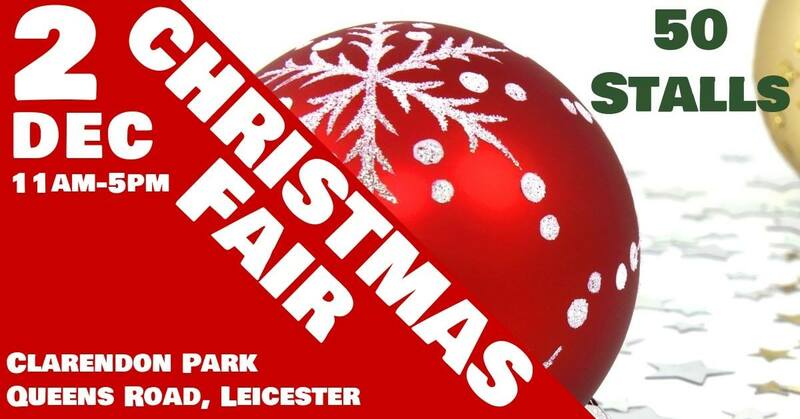 Unfortunately we can’t pay you but it’s great exposure at a very busy Christmas fair. We meet at the Friends Meeting House, Queens Road, Leicester at 7.30 pm until 9.15 pm on the first and third Thursday of each month from September until June. We dance simple community dances from around the world. Everyone is welcome – you don’t need any previous experience. You do not need to commit yourself to coming every time. This could be an important way forward for local groups. Friends of Clarendon Park (FCP) would like to explore ways of local groups working effectively together where there are synergies and learning from each other where there are opportunities. 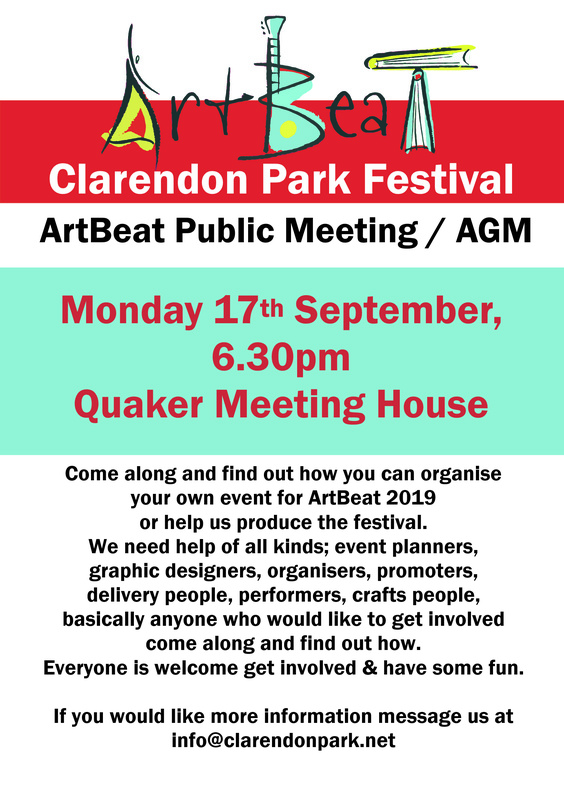 To this end, we invite representatives of ArtBeat to a meeting of local community groups from 7:30pm to 9:30pm on Monday 10th September in the small meeting room at Quaker Meeting House, 16 Queens Road, Leicester LE2 1WP. Some background: since FCP’s inaugural meeting in April 2015, we recruited over 130 members, held quarterly members meetings with guest speakers, established and grown our online presence, participated in the Clarendon Park fairs, monitored and responded to many consultations and planning & licensing applications, supported local campaigns, liaised with other local community groups and established relationships with large neighbouring institutions such as the University of Leicester and De Montfort Hall. All of this has been achieved with only three or four committee members working hard behind the scenes to make it all happen. Despite our best efforts, the current committee members are now struggling to manage our FCP commitments on top of our other commitments. As a result, FCP have been less active than usual in the last few months and most of the committee members are now looking to either step down or take on a reduced role in future. We still believe FCP serves a useful purpose for our members and for the wider Clarendon Park community, but we do need to find a different way of working. We’ve discussed options at our recent committee meetings and would like to consult with people running other community groups about how they manage their workload with a view to making proposals for future ways of working at our October members meeting. These proposals are likely to involve recruiting a larger committee to spread the workload, reducing the scope of our activities, and/or working with other community groups to reduce individual groups’ workloads. If you’re able to attend, we suggest two or three people from each group – perhaps the honorary officers (Chair, Secretary, Treasurer) or others as you feel appropriate.